Located on a farm very near the Finger Lakes Race Track, Farmington, NY (near Rochester). What a gorgeous big filly — and her handler, who is the assistant trainer and also her exercise rider, says she is an all around sweetheart too! 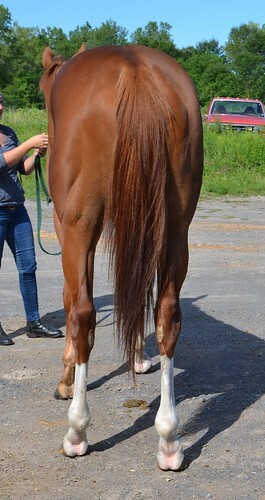 She described Nyromaniac as really nice to ride, and good about everything — grooming, the farrier, the wash stall, trailering. 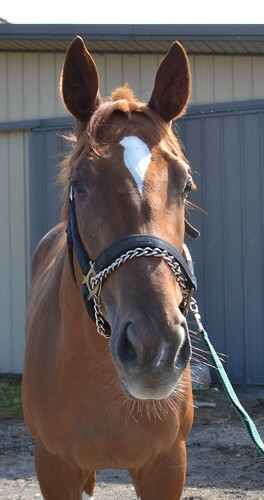 Nyromaniac is lightly raced, with 7 starts and one win earlier this summer. 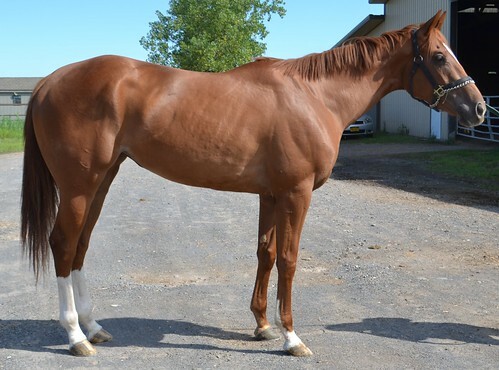 After her last workout in mid-July, her exercise rider noticed that she wasn’t traveling as well as she usually did at the gallop, so they had her completely checked out; x-rays revealed that she has chips and some arthritis in her right knee, and mild arthritis in her left knee. So the trainer has wisely stopped on her, and knows it is time to find her a new career that is less strenuous than racing. She has already benefited from some time on a farm with round-pen turnout, and she jogged soundly showing off nice toe pointing movement. The assistant trainer thinks that with a bit more time off, and perhaps joint supplements, Nyromaniac should be fine for many new careers at lower levels. She is also an intriguing broodmare prospect for racing or sport horse breeding. 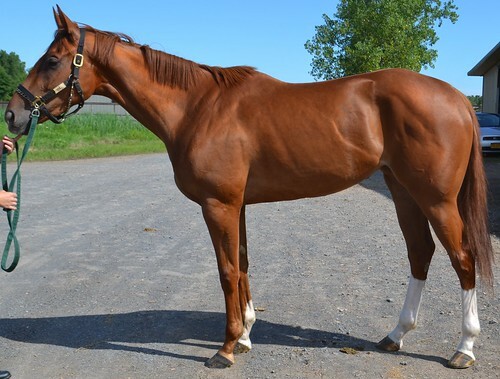 She has good correct conformation, and she is by Posse out of Prairie Princess, a graded stakes winning mare whose full sister produced a multiple graded stakes winner. 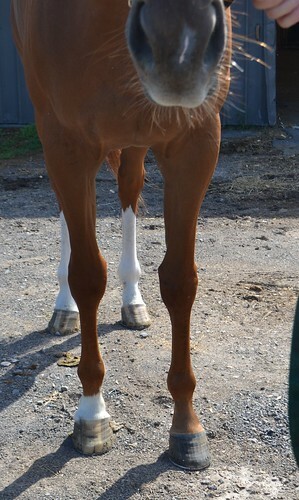 Posse is by Silver Deputy, a son of Deputy Minister, and he is out of a mare by Rahy, by Blushing Groom. Alydar, Halo, Roberto, Hail to Reason, Turn-To, Northern Dance, Nijinsky, are other prominent sires in her pedigree.